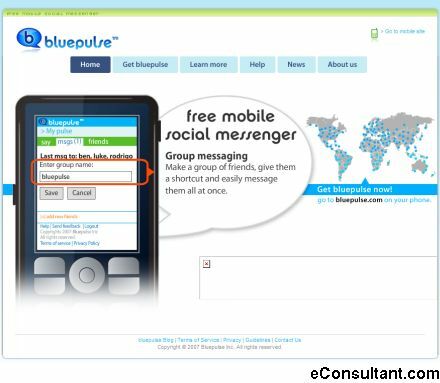 Description : bluepulse is a whole new world for you and your friends to explore. Get bluepulse on your phone and discover all the places it can take you, all the messaging and chatting you can do, and all the new friends you can make. You can sign in and see who is chatting and what they are chatting about. You can see what photo’s, video’s and content your friends have added. You can check your messages and send out individual or broadcast messages. You can meet your friends’ friends and see what they are up to on bluepulse.